A lot of newcomers to the ecommerce industry often wonder if it’s good to start a “Fulfilled By Amazon” business. FBA stands for Fulfillment by Amazon with this service Amazon looks after all of the seller’s stock and inventory. Since it’s more straightforward and simple than starting your own shop, newbies are often attracted to it. Yes, the business is quite profitable, but it takes quite some time and a lot of work to get a return on your investment. There’s not a lot posted about starting an Amazon FBA business; its features, its shortcomings, pricing, etc. So, today we are going to cover every aspect of Fulfillment by Amazon to make it easier for our readers to decide whether they want to go this route or not. You might not know this, but whenever you place an order on Amazon, there is a high chance that you are actually buying from a third-party supplier using a service known as Amazon FBA. Whenever a buyer places an order on their platform, the order by-passes the third-party seller an goes directly to Amazon’s FBA warehouse. Amazon then arranges the order and gets it shipped to the buyer. Amazon also handles all the customer service for the FBA products. They process almost all of the customer return/refund requests and only a few queries are forwarded to the seller in specific cases. From the buyer’s side, there is no difference between buying from Amazon directly and from a third-party seller selling their products on Amazon via the Amazon FBA service. Customers get the same delivery options, timings, returns/refunds, and customer service as they get with Amazon’s products. In the picture below, you can see that the hairbrush is being sold by Dovahlia and Fulfilled by Amazon. This means that Dovahlia is an Amazon FBA business. 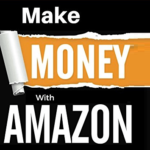 Amazon FBA business is a great method to turn your bedroom business into a large business with thousands of employees without actually having to hire any employees at all. You get to utilize Amazon’s workforce to look after your inventory, manage your shipments, etc. This provides the customers with quality service that’s as good as the top brand of the world. As a seller, you get the ability to sell thousands of products from almost anywhere in the World. You can run a one-man business without having to worry about any fulfillment or customer service at all. You just source your products and have them delivered to Amazon’s warehouses. After that, all you have to worry about is promoting your products and getting sales. Everything else is taken care of by Amazon. FBA (fulfillment by Amazon) is a warehousing and shipping service provided by Amazon for all the products that you send to Amazon’s warehouse. You can sell these items on Amazon’s marketplace or your own store, and Amazon will fulfill them. Amazon affiliate is a simple affiliate program that lets you promote other people’s products through your store/blog/social media, etc. and sell them to receive referral commissions from Amazon on each sale. Hassle-free logistics and fulfillment: Amazon takes care of all the storage, management, and shipping of your products. Access to Amazon Prime shipping: All your items listed on Amazon FBA automatically qualify for Amazon Prime shipping. Priority in the Buy box: All sellers who use FBA get the top spots in the buy box on every product page. Multichannel fulfillment: You can sell your products from any other channel and have them fulfilled through FBA. Amazon’s top-notch customer service: You don’t have to worry about customer service since Amazon takes care of customer support as well. More credibility through FBA badge: The “Fulfilled by Amazon” badge on your product page provides a sense of trust and credibility for customers. Difficult to keep track of inventory: Building up your inventory to thousands will make you lose track of the ones not selling well. Possible increase in returns/refunds: Amazon provides no question returns, so this can lead to a higher number of returns. FBA costs are quite high: Amazon does not provide you with free storage. You have to pay a hefty fee for the number of items and the amount of time you want to keep your inventory. No way to build an email list: Amazon does not allow you to contact customers if it doesn’t concern their active order. They also do not allow you to build email lists. The comparison between Amazon FBA vs. Shopify relies on what you want to do. If you want to put your product in front of a large audience while not having to worry about the fulfillment then Amazon FBA is definitely the best choice. However, if you want to create your own little online shop to market and promote your products to a target audience then Shopify is the way to go. Think of it like this, Amazon FBA is like having your product on display in a big store like Walmart or Bestbuy while Shopify is like having your own Nike or Apple Store. It all depends on what you want to do with your ecommerce venture. Is Amazon FBA cheaper than Shopify? Not by any means. Shopify is way cheaper than Amazon FBA in the long run. Shopify charges you a monthly subscription fee and a little transaction fee on each sale. (Check Shopify cost here). Amazon FBA charges you for the space that your product use in their storage and the duration for which you plan to store your items in the warehouse. You also have to pay $39.99 per month for the professional seller account on Amazon. There are also some other fees including referral and closing fees that you have to pay. All of this adds up and make Amazon FBA much expensive than using Shopify. There are Two types of seller accounts available on Amazon, Individual, and Professional. Individual Account costs $0 per month, but Amazon charges you $0.99 on each sale. It also limits you to only 40 items per month. Professional Account costs $39.99 per month and comes with no limits whatsoever. You also don’t have to pay any fees on sales either. It’s better to create a Professional account if you see yourself selling more than 40 items per month. You will need the following details to create your Amazon seller account. For your seller info, you need to add your name and address. Also, you need to provide a “display name”, this is what the buyers will see next to the items you are selling. Finally, you have to verify your account through call or text. Add your payment details including Bank account and routing number to receive payments. Your account is now done. Log into to check out the Seller dashboard. Go to “Inventory” at the top of the page and click Add a Product. Now, you can either search for a product (if you are selling something that’s already available) or Create a new product (if you are selling something you manufactured). If you want to ship it yourself or use Fulfillment by Amazon. Make sure that you select “I want Amazon to ship and provide customer service for my items if they sell.” Also, check the box that says “Remember this setting for next time” to have each of your item fulfilled by Amazon. This is pretty much the FBA option that you want to use. This will send you to a registration screen. Accept the FBA terms here. Congratulations, your items are now fulfilled by Amazon. Learn how to find products with low competition and high demand that sell really well. FBA Label Service: With FBA Label service, Amazon puts a white label on your items for you, so you don’t have to do it yourself. Costs $0.20 per item for Amazon to label all your products. Stickerless, Commingled Inventory: Amazon commingles your inventory with other sellers’ matching items. If someone places an order from you, Amazon may deliver a matching item that is actually from another seller, but in a nearby warehouse to the customer. This lets Amazon ship orders faster for better customer service. Finally, just click “Convert and Send Inventory” to finish the process. Individual products: For single items. Case-packed products: If you are sending a box with the exact same type of items in it like 20 Boxing gloves, 30 Godfather DVDs, etc. Enter the number of units you are sending for each item and also select whether you want to label the items or Amazon should do it. Once you approve the shipment, you can purchase shipping labels from Amazon. Print out the shipping labels, put them on your package, and mail the package. You are done! When Amazon receives your package, they will make your items available for sale on the website. Now, just sit and wait for your product to be sold. Promote them, market them to friends/family, etc. Just worry about getting sales. First of all, you need to pay $39.99 per month for the Professional account. Afterward, you will also be charged by Amazon for the storage space. Now, the FBA charges vary depending on the number of units you store and how long you plan to store these items in Amazon’s warehouse. Here are the detailed rates and fees for Amazon FBA. Even though starting a business with Amazon FBA requires you to shell out upfront capital, the effort required is not going to be as intensive as starting your own online store. Making the first few sales is the easy part, but finding new ways to scale and grow your Amazon FBA business is the difficult part. So, keep learning along the way and taking advantage of all the resources available to smoothen the process as much as possible. Don’t forget to let us know what you think about this Amazon FBA guide and how you feel about FBA as a business. Feel free to comment below.